Chamathya Fernando is passionate about working on gender based violence causes. She coordinates the “Stop the Violence” Campaign of Sri Lanka Girls Guide Association (SLGGA) and is a National Trainer for “Voices against Violence,” an educational curriculum co-developed by the World Association of Girl Guides and Girl Scouts (WAGGGS) and UN Women. 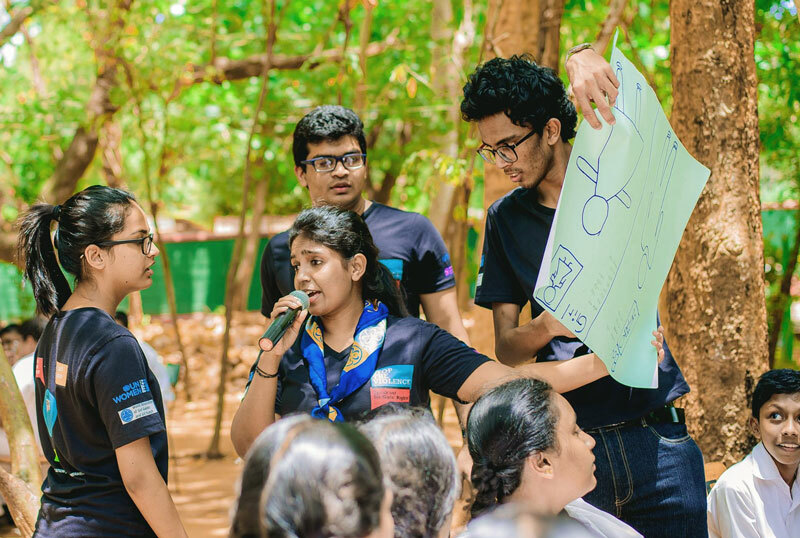 In 2016, Chamathya was chosen as the Girl Champion from the Asia Pacific Region for the WAGGGS’s #TeamGirl Campaign for her work under the UN’s development goal for Gender Equality and Empowerment of Women and Girls. She represented Sri Lanka and WAGGGS as a Youth Delegate at the UN Commission on the Status of Women held in New York. Since 2013, she and her team have reached around 10,000 girls and boys across the country through various activities. She also focuses on youth issues including education, skills development, reproductive health and rights, and combating racial discrimination and extremism. She helped lead a campaign against violent extremism through which a “Peace Hotline” was established and they organized interfaith dialogues around the country. As Assistant Director of Community Service of the Rotaract Club of National School of Business Management (NSBM) she organized many community service projects. Chamathya is currently an undergraduate of University of Sri Jayewardenepura, Sri Lanka.